The Lahore High Court issued notices to former PM Nawaz Sharif over his interview to Dawn in which he mentioned the Mumbai attacks. In the interview, Mr Sharif said that militant organisations are active. “Call them non-state actors, should we allow them to cross the border and kill 150 people in Mumbai? Explain it to me. 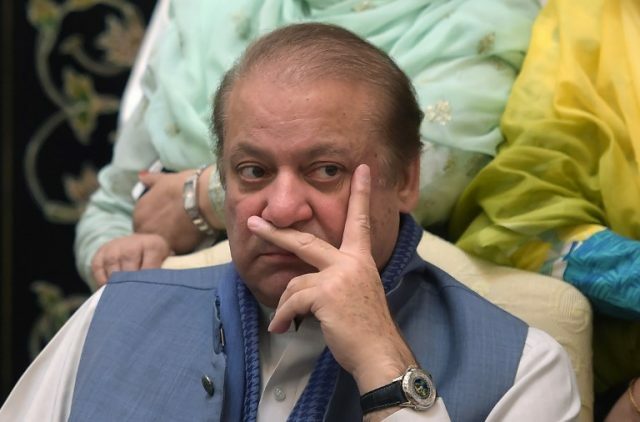 Why can’t we complete the trial?” Soon after the interview, the National Security Council (NSC) summoned a meeting and concluded that the former PM’s statement on the 2008 Mumbai attacks were “incorrect and misleading”. Justice Mazahir Ali Akbar headed the three-member bench. According to the petitioner, Mr Sharif’s statement is tantamount to treason. The court ordered Mr Sharif as well as his successor, Shahid Khaqan Abbasi, to submit their replies.